It's regular started on April 13 from the village of Narsarsuaq, the polar expedition "Greenland in 2012" of which "Antonini Knives" is a sponsor, through the mark "QManiago". Protagonists of the longest ever polar expedition (route north-south of 2,300 kilometers in 90 days) the famous Italian explorer Michele Pontrandolfo of Pordenone and Marco Martinuzzi, first Italians to groped this company without external support, in self-sufficiency. 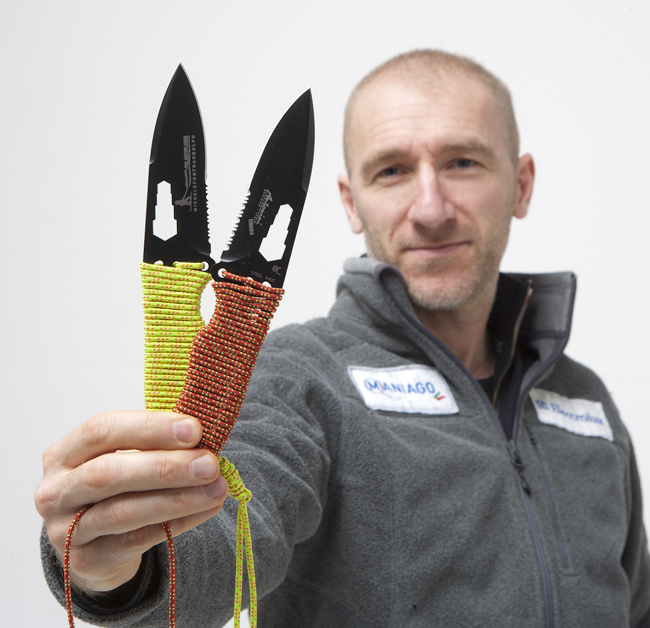 With they new fixed blade knives, Series "Mamba" line "Antonini SOS"!